In these times of too many engagements, it is common for you to get distracted. Do you find yourself losing focus at your workplace? Do you find your mind wandering in various directions? In such a situation, we suggest, you turn to meditation. Candle light meditation is one form of meditation that keeps the wavering of your mind under check. Candle light meditation is open-eye mediation. As the name suggests, in this style of meditation, you are expected to stare at a candle flame while meditating. To many, it is easier to concentrate on a physical object than focusing on a mantra or imaginary objects as suggested in other forms of meditation. What Happens In Candle Light Meditation? As you begin with the meditation process, you must first set up your place to suit the practice. Switch off bright lights, if there are any. Cover the windows. It is not necessary the room has to be dark. The idea is to create a set up that is dimly lit up, but is comfortable to sit in. Ensure the room is at a normal temperature or a temperature you are comfortable at. Now it’s time to light a candle. Sit at a distance of some 50 cm from the candle. The position of the candle should be at eye-level. Do not fall forward while gazing at the candle or do not slump. Remember, you have to be comfortable when looking at the candle flame. You can sit in a chair. Or you can choose to sit cross-legged, in front of the candle, whichever is convenient to you. Start gazing at the flame. When you do so, the image of the candle should fill your mind. Initially, you may find it hard to concentrate, and your eyes might turn watery. But keep your gaze fixed till you achieve a state of calm. As you stare at the candle, breathe in and breathe out. As you keep at it, you slowly find yourself getting into a state of concentration and peace. 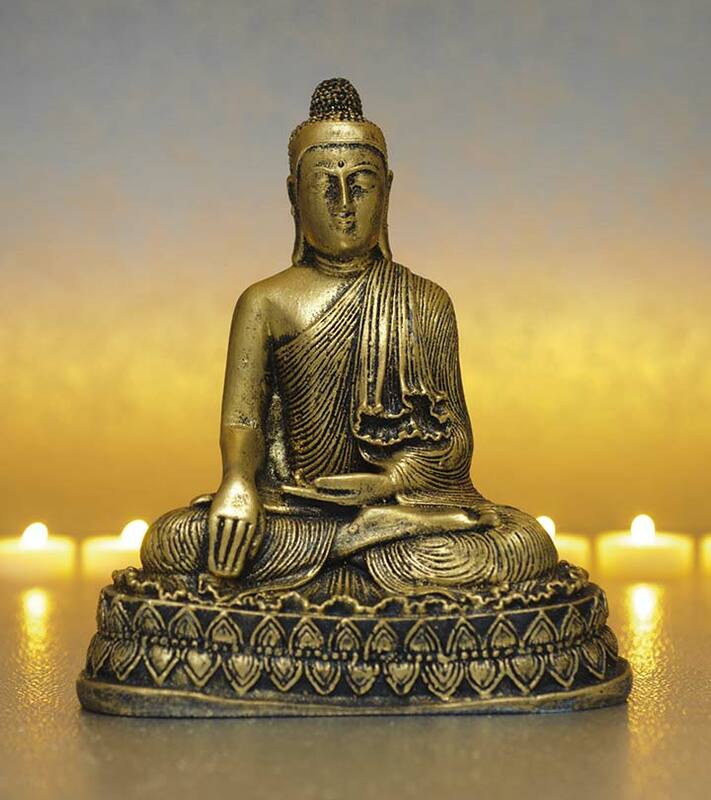 Candle light meditation helps to improve your mental stability; in turn giving you your must needed mental peace. And here’s how! As your eyes are fixed on the candle flame, they don’t see anything beyond the flame. In such a situation, your brain receives no new information to process. It is the nerves of your eyes that send signals to your brain. But in this case, no signal is sent. As a result, images beside the candle begin to fade away from your vision. During the experience, while your eyes are open, you only see the flame and nothing else. Interestingly, each candle color disperses different forms of energy during the meditation process. For instance, a white candle stick is meant for clarity in vision, indigo for wisdom, turquoise for healing, yellow for inner power and self-confidence, orange candle for the ability to survive a loss, red for courage and physical strength, pink for warmth and empathy etc. So, when you practice candle light meditation, you can choose the color of the candle based on what you want to achieve during the meditation process. 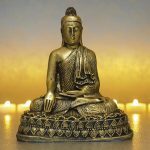 Hopefully, this article serves as the first step to your candle light meditation practice to find inner peace. While this form of meditation is absolutely harmless, you may seek a yoga guru’s advice for the duration of the process. Do you think candle light meditation helps you become a mentally stronger individual? Share with us in the comments section!